• The ladies at the country club pool who laid out on loungers all day, slathered in oil, smoking cigarettes. (I knew the cigarettes were bad because I read Ramona Quinby books, but like a good ciggie ad campaign, they just looked cool.) I was certain they walked around with clinking glasses at 5:00 in their modern Miami Vice inspired homes. • Big, blonde hair on women with visible make-up. One would not think I would pursue a career in fashion with these visions of beauty, but time and many fashion faux pas of my own have smoothed out the rough edges. I see the cigarettes and tanning oil as serious carcinogens and I strongly feel that you should only choose one feature to highlight with visible make up. 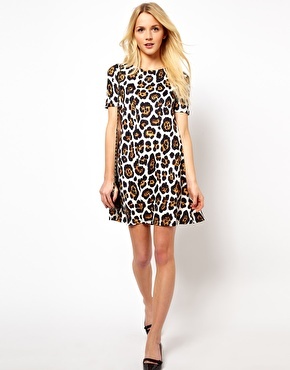 I still passionately love animal print, however. 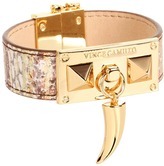 Whether it is in or out for the season, I covet a pretty kitty or slithering snake print. It is a classic, not a trend. The key to animal print is to limit your audience’s exposure to it. Head to toe is a no-no, but a well placed and designed print is always a yes! Dresses: Worn on their own, you can easily go into an evening affair with ease. Layer a jacket or vest over them to dress them down. A denim or moto vest is an instant way to look right on trend for this season. 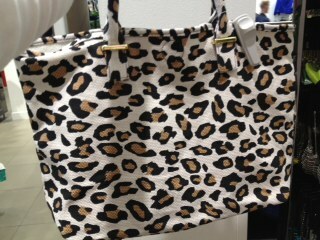 Bags: Even if you do not love wearing animal prints, how can you not love to carry one? In a casual canvas, this is an ideal beach or overnight tote. Much better than an everyone-has-one stripe, no? 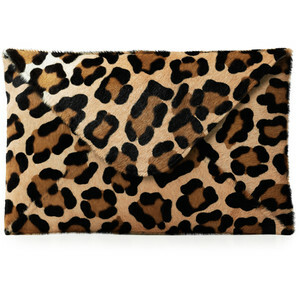 Try a clutch with all black for a very quick and simple formal outfit. 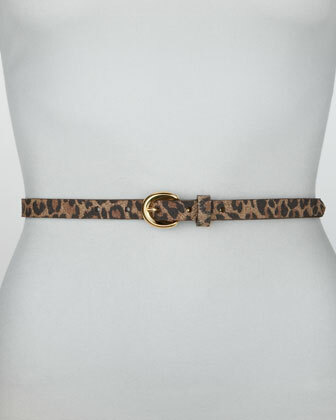 Belts: A skinny belt is the best, and you can wear it with everything. Add it to a simple shift dress for work appropriate drama, belt over a sweater come fall, or add interest to slouchy boyfriend jeans and your favorite tee. Thin is elegant and timeless. Scarves: I am a huge, giant, massive fan of scarves. Take your most basic outfit of jeans and a tee. It’s classic, but nothing special. In one quick step, you have a sassy little outfit just by adding a scarf. 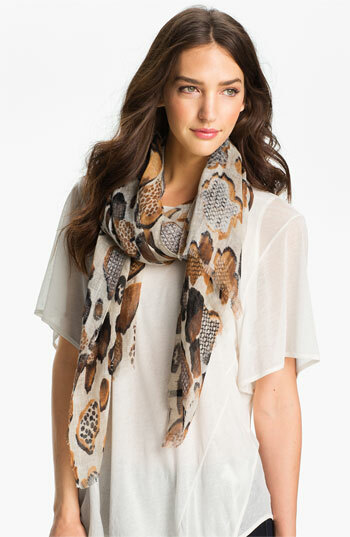 You get double sass points if it’s an animal print scarf! If you are scarf challenged, buy an infinity scarf. All you have to do is loop it around your neck. Jewelry: This can be a challenge, but I like a challenge! 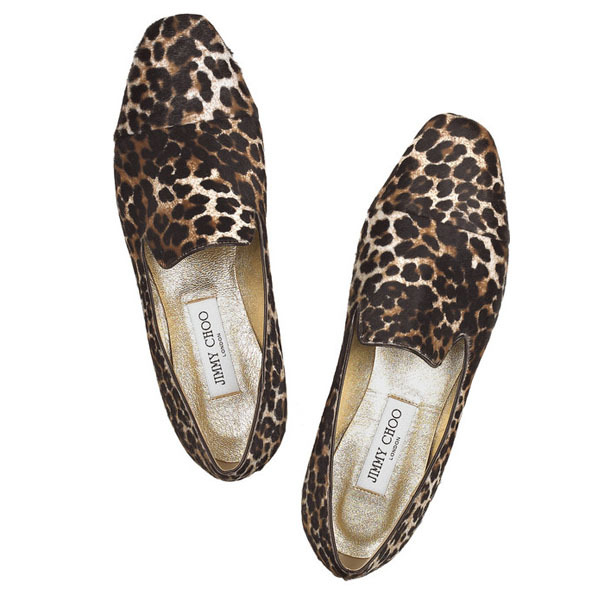 Here is the key: if you are going for animal print jewelry, it MUST be bling-free. Go for tougher looking details, spikes, metal, chains; not rhinestones or you are venturing into Las Vegas territory. 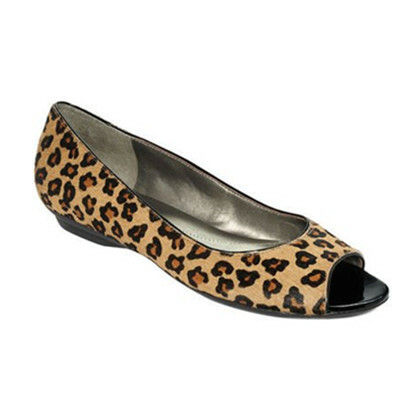 Shoes: Animal print flats are about the cutest options ever. I have a pair of Manolo Blahniks and they make me giddy. 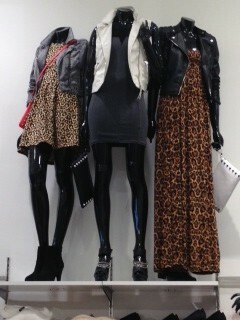 I really like neon green paired with animal print this season, but if you are gutsy, mix them with a floral jacket. Here are a couple of similar options for inspiration. I lived in Manhattan right out of college, pursuing a life upon the stage. (If you know what that phrase is from, you and I are probably friends in waiting) I had a wonderful 4 years chasing my dream and my favorite city. I left New York for fashion school in Los Angeles and have worked for a fashion company for 8 years. I have lived in LA longer than I lived in New York or Omaha, NE (my hometown), yet I identify with both those cities more. Go figure. I have a wonderful husband and a darling little boy who is the center of our world. I started this after I decided to stay home with sweet T. I love being a mama but I have found it challenging to remain pretty, let alone self-tanned and poised. This blog is dedicated to little luxuries that keep me feminine while being a wife and mama. Sometimes the little things lead us to the big moments or create a moment worth remembering. The name of my blog comes from a fantastic line from my favorite audition song, “Ice Cream” from “She Loves Me.” Something as small as a man bringing a woman ice cream changed her day and eventually her life. Dramatic, yes, but wouldn’t life be more fun if our strongest emotions were always expressed in song? I love musical theater, the color green, running without a cell phone but always with music, pretty clothes, the smell of new books, all gymnastics, the olympics (frighteningly so), scents, my very funny family, rescue dogs, and many other things.